My husband hates musicals. He says it’s totally unnatural for people in them to just be walking along and suddenly break out in song. Social media is kind of like musicals. There is an element about it that is almost unnatural. We blurt out things, spontaneously share photos, stop in the middle of dinner to take photos of our meal and are raising a generation of children who assume that every single thing they do or say will be shared with hundreds of other people. Nowadays, what would normally be a quiet remark in a one-on-one or even in a group setting is projected for everyone to hear. Social media is the equivalent of our thoughts being blasted through a megaphone. So is social media to blame for the craziness we are witnessing these days or are WE to blame? I think the answer to both of those questions is…YES! You see, the reality is that social media isn’t going anywhere. Oh sure, we can choose to not participate but most of us at one time or another will have some form of engagement on social media. And, as in most relationships in life (and whether you realize it or not you do have a relationship with social media), we have to get to the point where we realize that while we can’t control what it says to us, we can control how we respond to it. One of the ways we can do this is by understanding that everything we see and hear/read is being filtered through our own personal worldview. Just what is a worldview? Well, here’s a good explanation of it. You may have to read it a couple times but I promise it’s worth it! Think of it this way, your worldview is like eye-glasses. We’ve all heard the phrase ‘rose-colored glasses’. Well, your worldview is what tints your glasses. It’s a filter through which everything you read on social media (and in all of life frankly!) is processed through. But, if we are maturing in our faith in Jesus Christ, our filter, our worldview, should become increasingly more and more HIS view. We should begin to process things through glasses which are tinted by His love and grace. As we grow in our faith there should be evidence in every area of our life, including social media, of our increasing spiritual maturity. 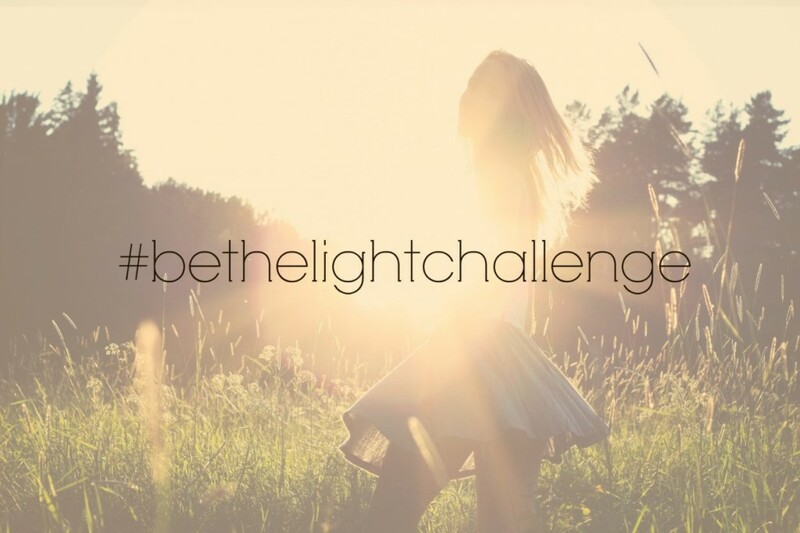 The beauty of the #bethelightchallenge is the realization that it all begins with us. And, I thought I would put together a little acronym that I believe can truly help us impact our circles of influence on social media if we would just do this every single time we get ready to post something. 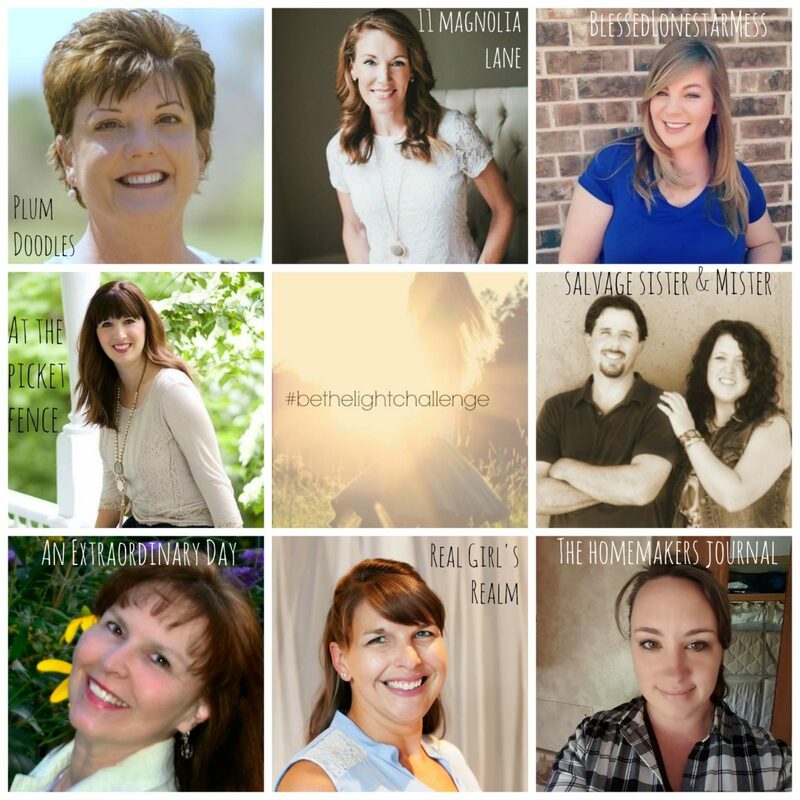 We want YOU to join the #bethelightchallenge too! A Facebook group has been started where we can all encourage and support each other on this journey and we would LOVE to have you join us there. In addition, each blogger participating in this kick-off week not only has shared from her heart about how they are being challenged to impact social media but they also have a special take-away for you. I encourage you to visit each one. After spending time on social media do you find that you feel better about yourself, worse about yourself or not affected at all? How does your worldview impact how you feel about what you see on social media? 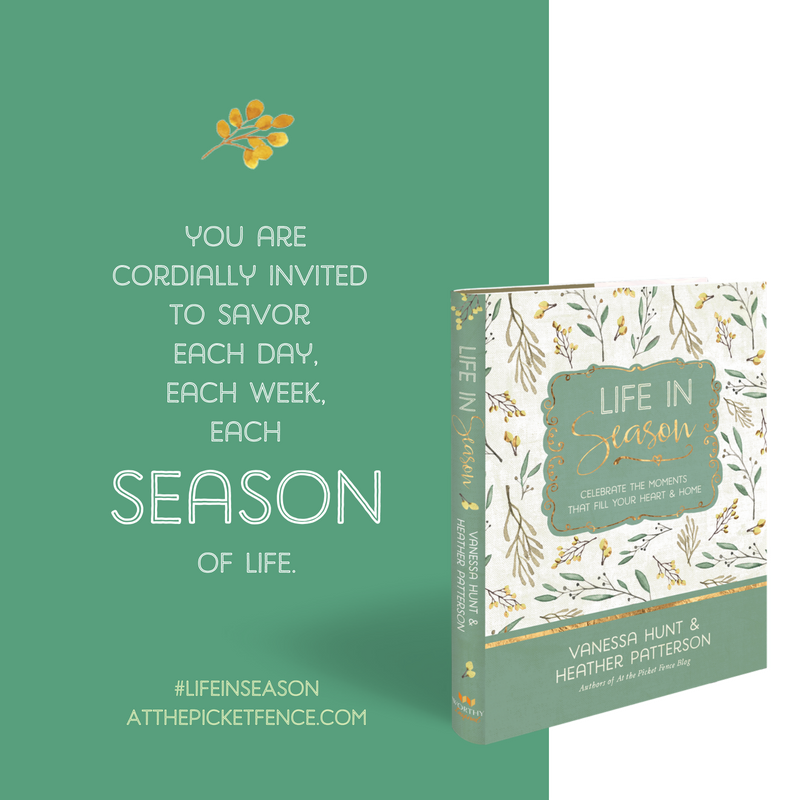 As a little bonus today and to hopefully bring you more encouragement, I’m giving away a copy of our book ‘Life in Season’. To enter to win, simply leave a comment answering one of the above questions. Now, sweet friends, go and be the light! 13 Comments on "Social MEdia"
1. Social media often makes me and my children feel worse . The hardest part of raising my children in this social media driven society is teaching them that the world they witness on Instagram is not real. Their fear of missing out on what appears to be the best of everything is a difficult lesson to teach . Taking breaks from electronics / social media and allowing them to enjoy the present moment is something they need to do. Many teens need to realize they are enough . They don’t need the approval from Instagram followers to be happy. Vanessa, so true and relevant. I wish every teen could read this post. So many hurt feelings over an impulsive post. Social media just shouldn’t have this power. Such a great post. So thankful you were able to participate! What a blessing for someone to win the book! Romans 12:12 is a great verse to keep in the back of our minds… as is S.T.O.P. What if we all really did take a second to stop before we started taping into our devices? It’s amazing how much influence we can have on another’s day or outlook. Thanks for sharing your insights and wisdom Vanessa. Wow, this is food for thought. Honestly, spending time on social media usually makes me feel worse for many reasons….people arguing, me feeling like an inadequate parent, or longing for a house that looks like it should be on the cover of a magazine. I think we fall into the comparison trap when we look at all the pretty pictures on social media, not realizing that it does not show the whole picture. Thank you for a wonderful post and the giveaway. 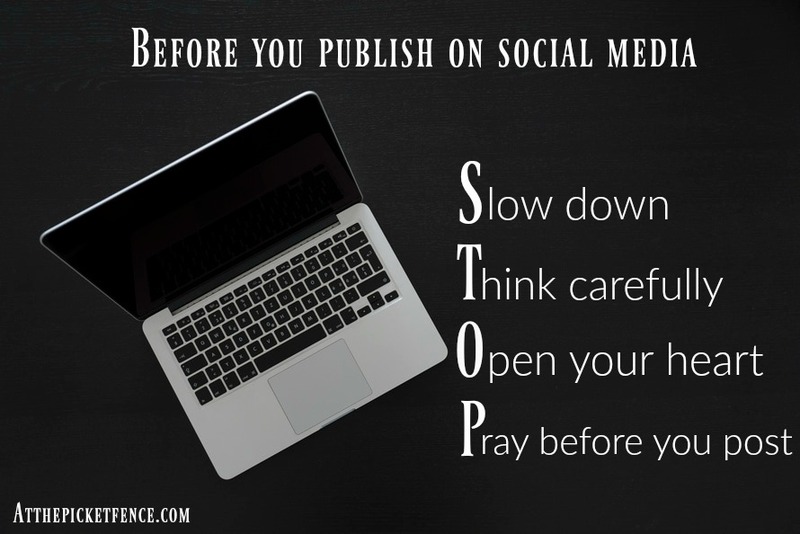 Great suggestions for deciding what to post and what to respond to. Reading social media does not influence how I see myself and my life. I usually geel indifferent and honestly try to stay away from it. It is a waste ilof rime in my opinion. But…when and if I do post, I try to make it uplifting. That is what He would do isn’t it? Thank you for your offer and the great challenge.